This downloadable teaching material is best suited for elementary school students, adults and students with special educational needs, learning difficulties, e.g. dyslexia at Beginner (pre-A1), Elementary (A1) and Pre-intermediate (A2) level. 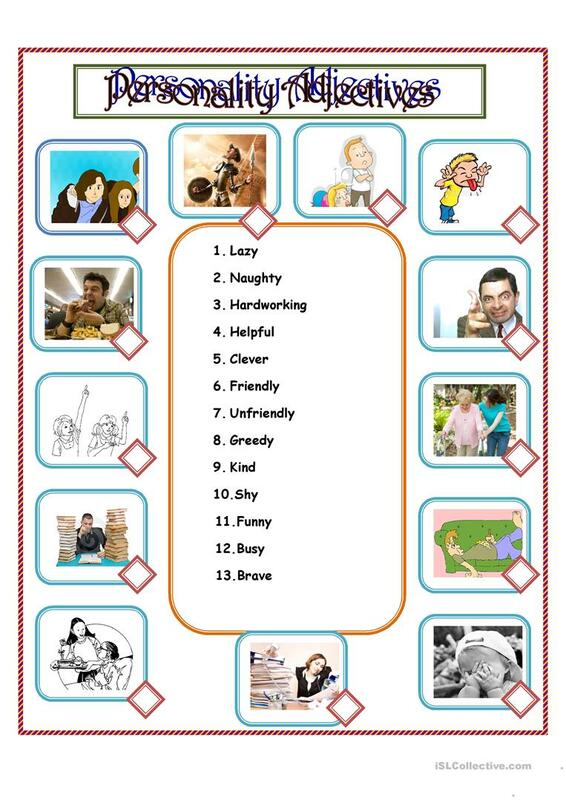 It is valuable for consolidating Adjectives and Adjectives to describe personality and character in English, and can be used for improving your class' Reading and Writing skills. It is about the vocabulary topic of Personality and character. Jahf is from/lives in and has been a member of iSLCollective since 2014-11-02 05:07:33. Jahf last logged in on 2018-07-22 10:37:58, and has shared 11 resources on iSLCollective so far.